ECO is a privately-owned Canadian technology company that has been developing alternative-fuel conversion solutions for vehicles since 1983. Our innovative technology and advanced automotive electronics are at the core of every engineered solution. ECO systems are rigorously tested to ensure full compliance with today's stringent and ever-changing emission standards. 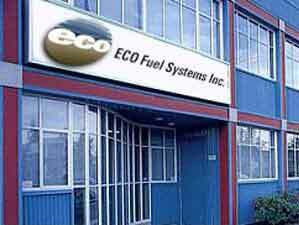 ECO systems are supported by a network of highly trained, ECO authorized service technicians. More reasons to choose ECO equipment.